Day 2 chasing as a guide for Silver Lining Tours: http://www.silverliningtours.com/ We stayed in northeast Colorado as supercell thunderstorms developed on the mountains and then rolled off just north of Denver. 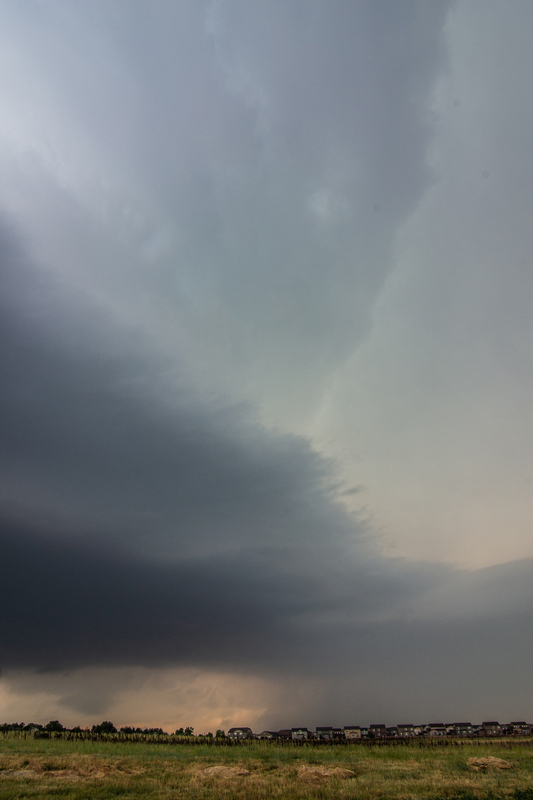 We ended up staying close to I-76 and chasing these storms from Fort Lupton to Fort Morgan. The storms exhibited terrific structure throughout their life cycles! Supercell rolling off the mountains northwest of Denver near Erie, Colorado. This is looking up at the updraft. We drove through quarter size hail upon having to punch through the core from the north. 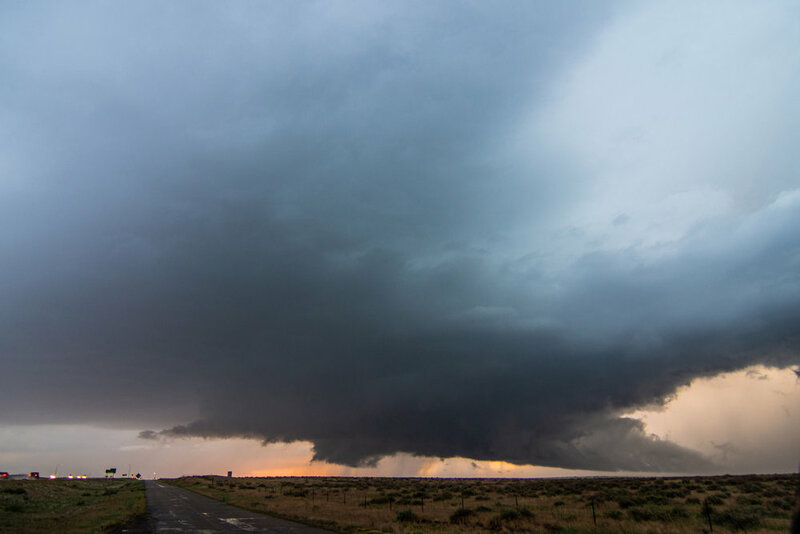 Non-rotating wall cloud on the storm near Erie, Colorado. 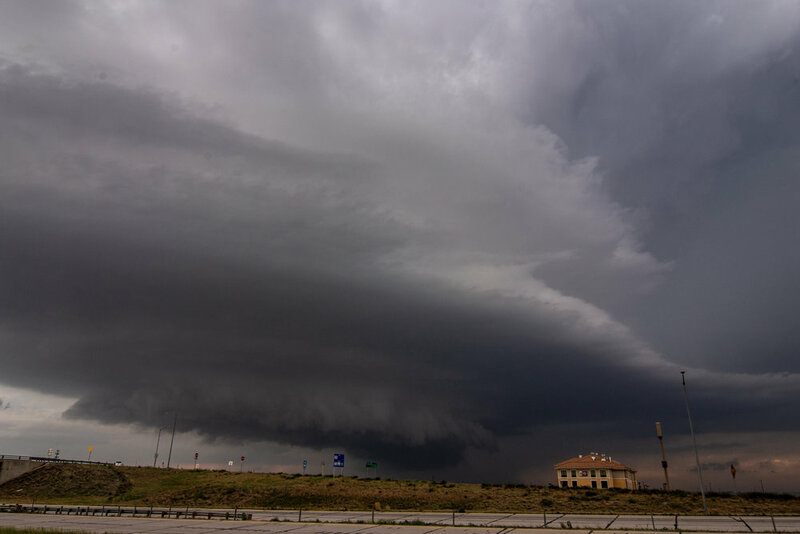 Terrific structure of the storm with wall cloud underneath in Hudson, Colorado. Terrific looking storm near Keenesburg, Colorado. Looking at the south side of the storm with a well defined inflow tail. Wall cloud on the storm as we approach Wiggins, Colorado. The wall cloud takes on an even better shape a short time later. Mesoscale discussion issued at 3:06 PM MDT highlighting the area expected to have severe thunderstorms into the afternoon and evening. Modest instability at this point but decent bulk shear of 45 knots. Instability did increase through the afternoon. Small severe thunderstorm watch issued at 6:35 PM MDT. Storms were not moving very fast and were not expected to hold together very well further east. Ended up having some flooding rain along I-76 as a result of training thunderstorms into the evening.